If this person that you know has been harassing you or troubling you for a long time now and you just chose to keep quiet for whatever reason, you don’t have to put up with it anymore. 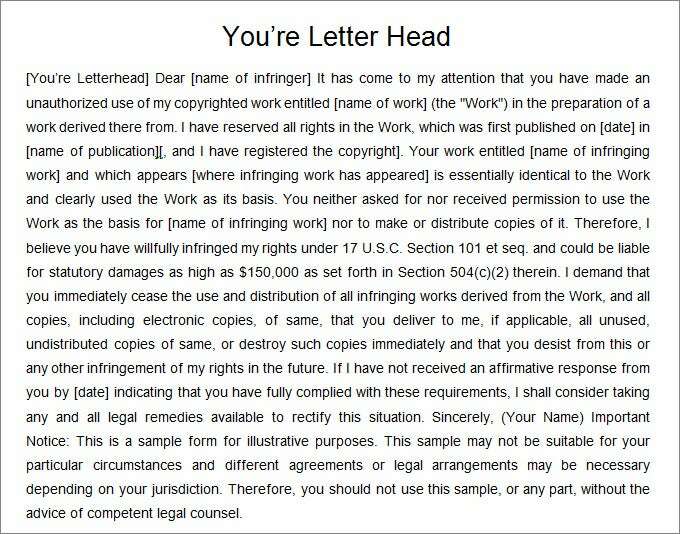 Once you decide to send a legal notice against whatever situation, you need to get out of, our cease and desist letter templates can help you out with it. 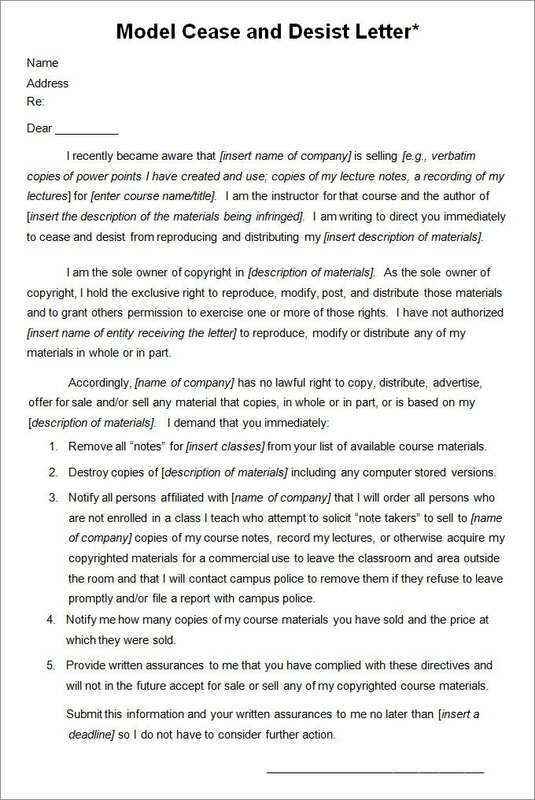 What does a cease and desist template consist of? 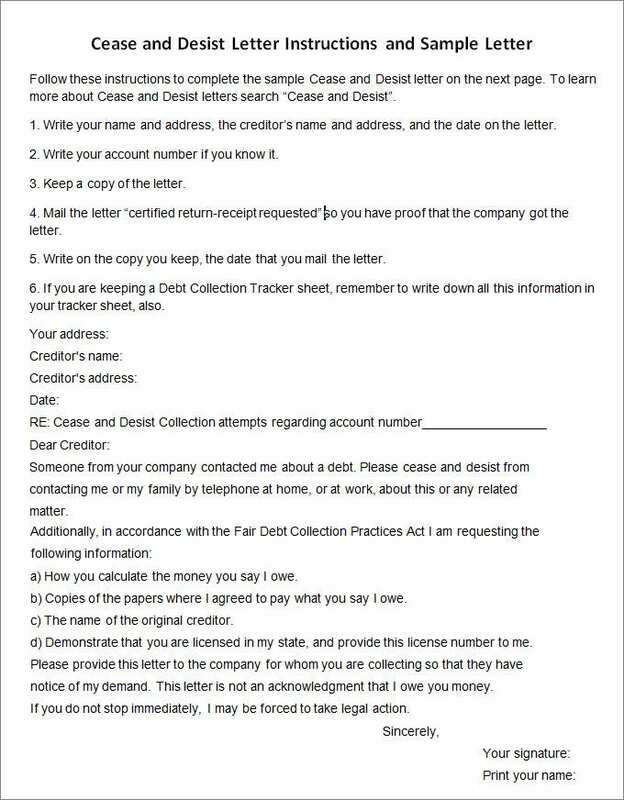 A cease and desist sample template is pretty much like an official letter of warning or a notice issuing the statement that you want to get out of a particular situation. 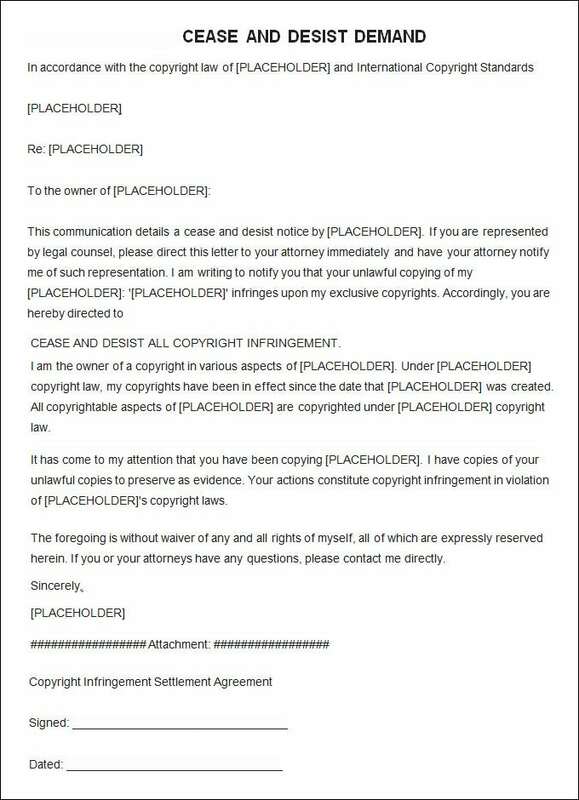 It looks like a letter with all the content pre-written in it and all you have to do is use it for your purpose. 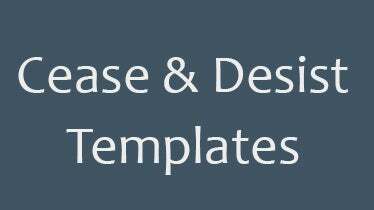 Choose the cease and desist template that you’d like to, for your need and download it for free. Print it out and write your name and the name of the person that you want to issue it to. Fill in the rest of the details as per the template and you can now use it.